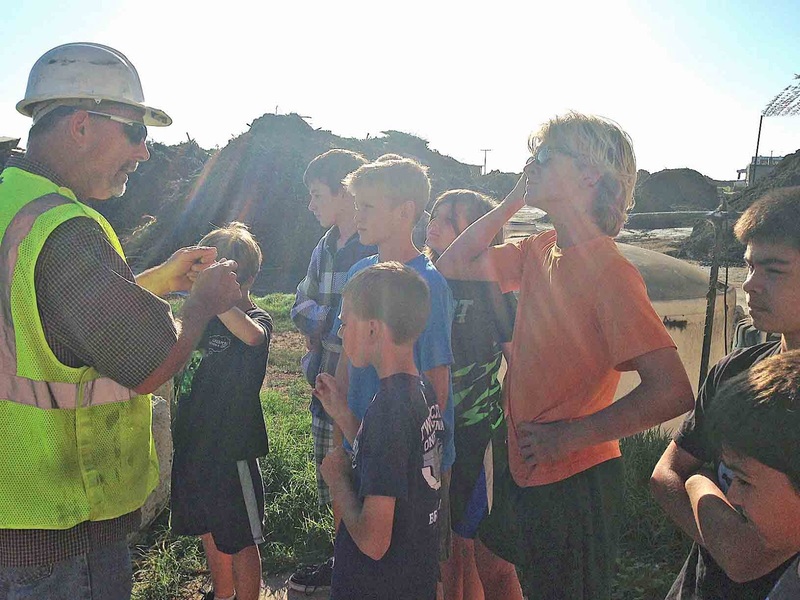 Agromin Blog: Kids Visit Agromin as Part of First LEGO League "Trash Tech Challenge"
Kids Visit Agromin as Part of First LEGO League "Trash Tech Challenge"
Camarillo middle schoolers are taking part in the 2015 First LEGO League "Trash Trek Challenge." More than 29,000 teams with 233,000 children from over 80 countries are participating. The goal is to build and program a LEGO robot that is then incorporated into an innovative way to collect, sort and ultimately reuse trash. 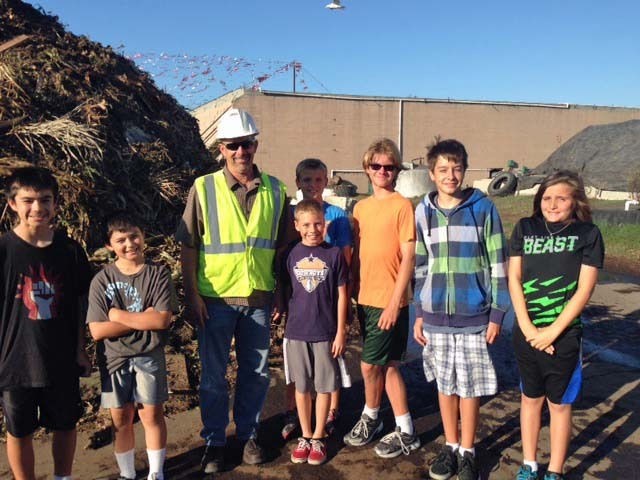 The students got a chance to learn about organic waste recycling and composting first-hand by visiting Agromin. All attend Los Primeros School of Arts and Sciences and are sponsored by Pleasant Valley Education Foundation. The Camarillo team chose a project focusing on setting up a composting system for lunch food waste. The kids collect discarded food items every Friday. They are responsible for putting up posters on Fridays to remind students to toss uneaten food into trash bins designated for fruits and veggies. They then sort the collected food scraps and add them to a compost bin. The materials are turned throughout the week. When the compost is finished, it will be used in the school gardens. While at Agromin, the kids got to see what large-scale composting looks like. They learned about the composting process, composting temperatures, the right ratios of brown and green materials--and how to gently scare away nosy birds seeking an easy meal (a tour highlight). When kids are encouraged to think creatively at an early age about reusing the Earth’s finite natural resources, just imagine the advances in sustainability practices in the coming 10 to 20 years!